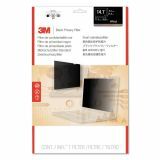 3M Blackout Frameless Privacy Filter for 14.1" Notebook - Monitor blackout privacy filter provides worry-free privacy wherever you work. Darken on-screen images from a side view with no blurring or distortion. Frameless style filter stays attached even when notebook computer is closed. 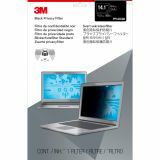 Protects valuable LCD screen from fingerprints, scratches and abrasions. 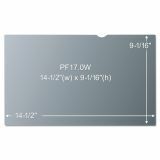 Viewing Area Dimensions - Metric (width x height): 286 mm x 214 mm Viewing Area Dimensions (width x height): 11 1/4" x 8 7/16"
PF14.1 Privacy Filter for Laptop 14.1"